All custody decisions in Arizona are based on the child’s best interest. This principle guides the work of the Arizona Department of Child Safety. While being with their parents is usually best for kids, there are some well-defined exceptions. Most individuals shouldn’t be concerned about the loss of their custody over children. The Arizona Department of Child Safety can take a child away from the home in a few very specific and very dire circumstances. According to A.R.S. 13-403, parents in Arizona can use physical force (reasonable and appropriate) to the extent that’s reasonably necessary to maintain discipline. This statute, however, does not justify physical abuse or violence against children. Severe beating, leaving physical marks or injuries constitute abuse. Teachers, mentors and others who notice signs of physical abuse can alert the Department of Child Safety. If an investigation is carried out to establish physical abuse, parental rights can be lost. The same applies to sexual abuse. Sexual abuse is defined in A.R.S. 13-1401, 13-1411 and 13-3507. Most people misunderstand sexual abuse. The definition is pretty narrow in the view of most people but the exposure to sexually explicit materials, for example, is also seen as abuse that can lead to the loss of custodial rights. Neglect is considered a form of child abuse. Failing to meet the child’s physical and emotional needs is considered neglect in Arizona. A parent or guardian putting a child in endangerment (either knowingly or unknowingly) will also be committing an act of neglect. A few other situations could also be classified as neglect. Raising children in a house where drugs are present could be neglect. The same applies to a house that features toxic substances. If you are divorced and you want to take kids on a vacation or be away from a prolonged period of time, you will have to coordinate the trip with your ex. Otherwise, you will be committing an act of child abduction. Whenever people divorce in Arizona, a parenting plan is created. 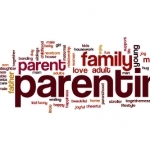 This plan pinpoints the amount of time that the child spends with either parent. A failure to adhere to the plan will contribute to the eventual loss of custodial rights, especially if a move is long-term and unexpected. While emotional abuse tends to be more covert than physical abuse, it is equally damaging. While it will contribute to the loss of custodial rights, emotional abuse will be more difficult to prove than physical abuse. Manipulating children, verbal abuse, keeping them in unhealthy environments and neglecting the emotional needs of the child cannot be proven 100 percent in the aftermath of the occurrence. Emotional abuse, however, can still be established depending on the specifics. A recent case featured a family posting prank videos involving their children on YouTube. These videos provide clear evidence of how the emotional needs of the children aren’t being met. While the reasons mentioned above are the most common ones for the loss of custodial rights in Arizona, they aren’t the only ones. If you are facing the loss of your custodial rights due to any of the reasons, you will have to get in touch with an experienced Arizona family law attorney. The situation is serious and it could have irreversible consequences. Don’t attempt to handle the situation on your own – evidence will have to be collected and presented in the best possible way to counter claims of abuse, neglect or other forms of ill treatment. 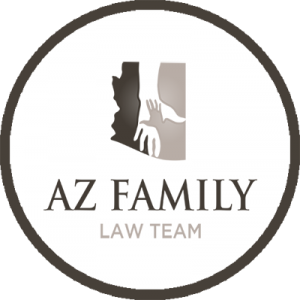 Click here for more information on Arizona child custody laws and procedure.